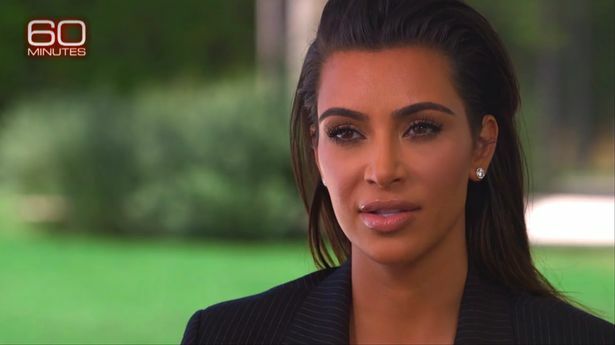 Kim Kardashian discusses her fame and fortune in an interview taped before her Paris robbery incident.The reality star insisted that "getting people to like you" is her talent as she sat down with Bill Whitaker for an interview on 60 Minutes, UK Mirror reports. In the chat that took place before she was robbed at gunpoint, the star gave an indepth look into her glamorous life and was quizzed on where her success is rooted. "It is a talent to have a brand that's really successful off of getting people to like you for you," she said. "I would think that has to involve some kind of talent, you know?" The mum-of-two, who has remained off all social media since the terrifying incident that saw thieves escape with millions of dollars worth of jewelleery more that two weeks ago, also attributed much of her success to social media. Whitaker asked the reality star if her fame could exist without her presence online. Kim replied: "Not in this way. I totally attribute my career to social media." The 36-year-old also said the pros of living her life in the spotlight outweighed the cons. "I do believe that the pros in my situation and my lifestyle have been more beneficial than the negative things." And when Whittaker said, "You monetized the act of living," Kim agreed. "Yeah. I guess so," Kanye's other half admitted. Meanwhile, Kim's older sister Kourtney, 37, recently revealed the star is still "not doing great" after her ordeal, so it will be interesting to see if her views on fame and social media have now changed. Kourtney said: "She's not doing great. I think we're all really still shaken up and I just - you know, I think she has a big supportive family and I know that all the traumatic things that we've been through, we get through them together as a family."